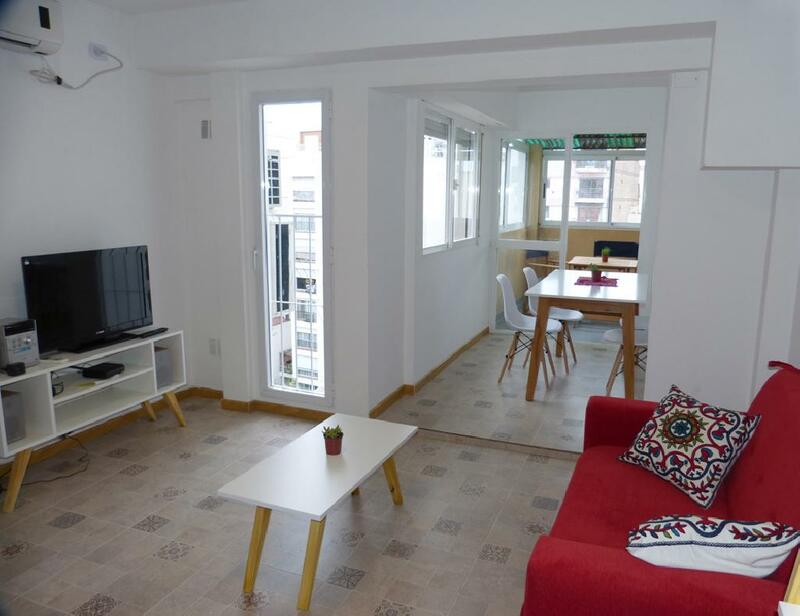 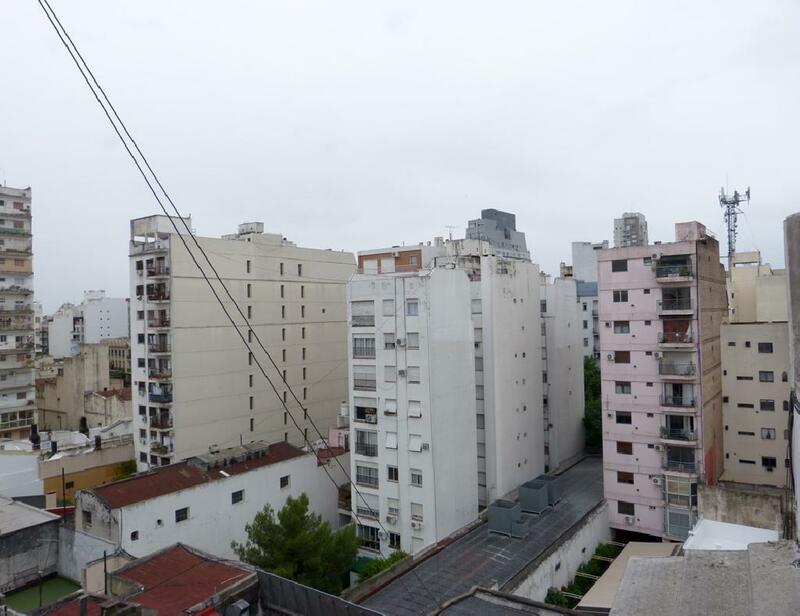 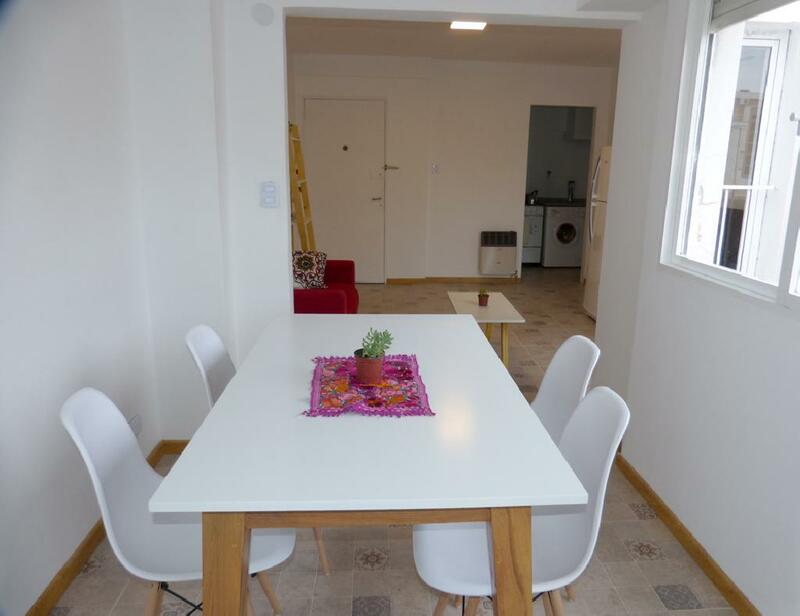 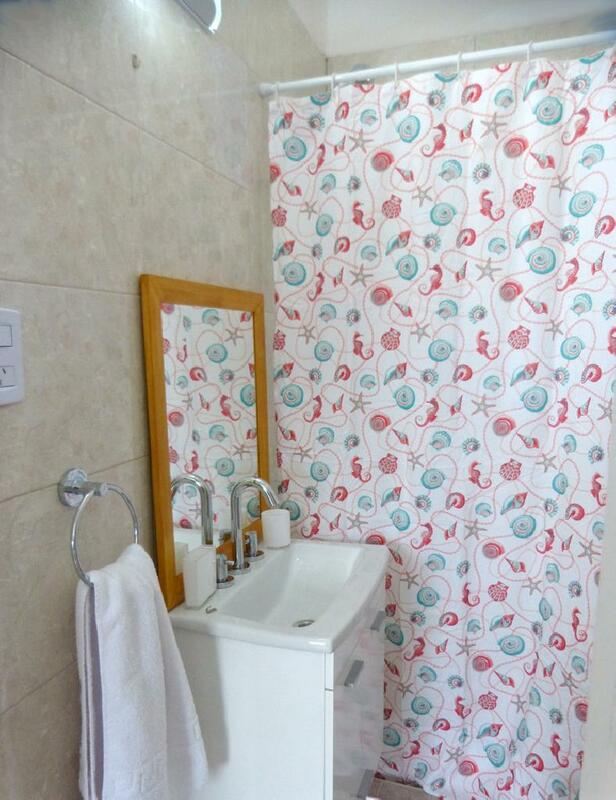 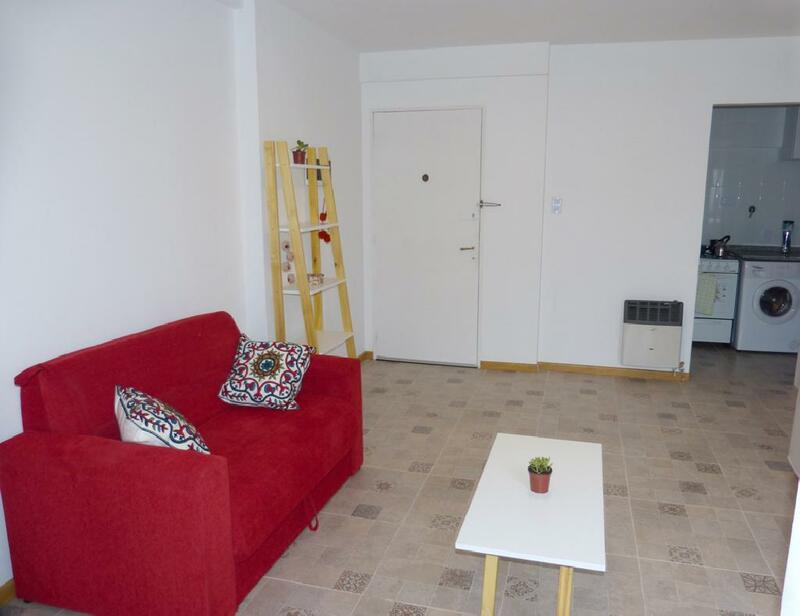 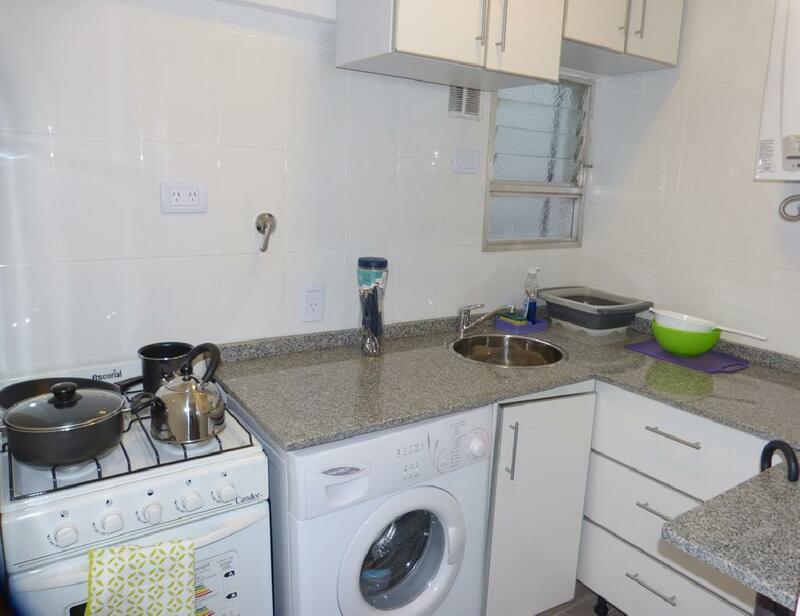 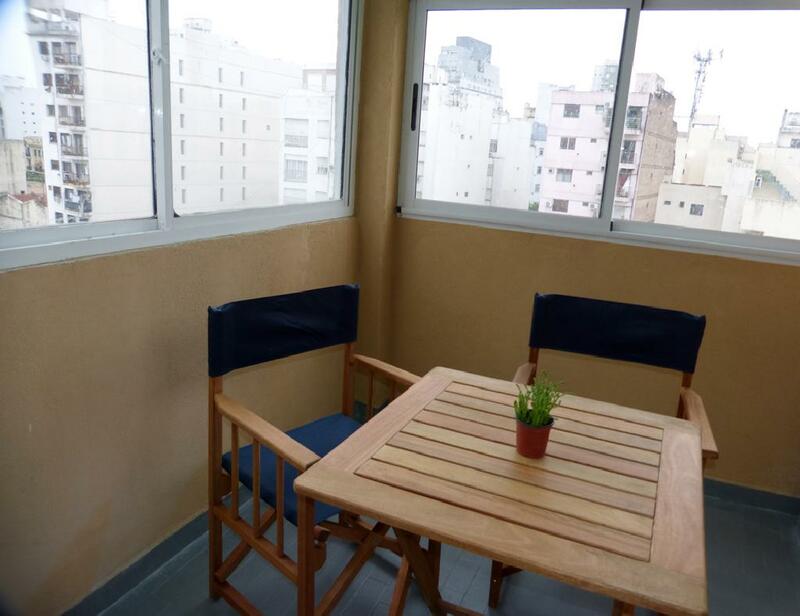 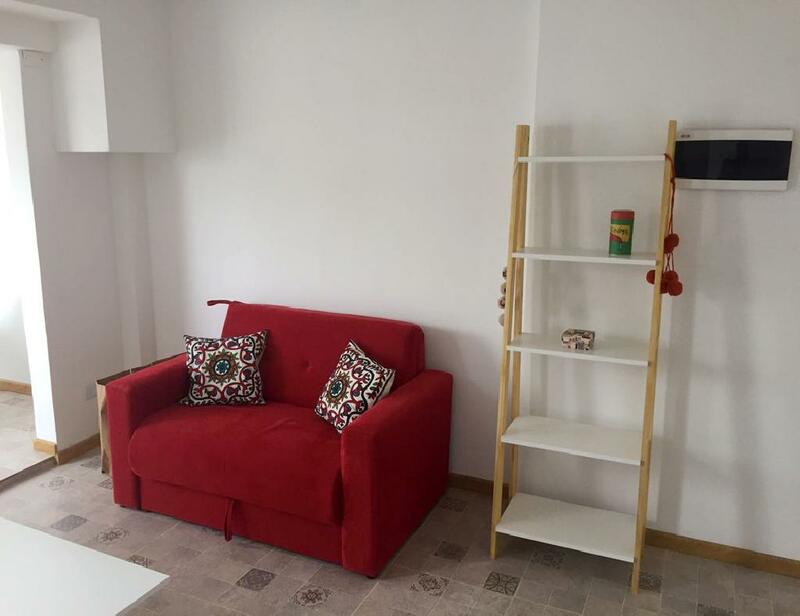 This is a very nice and bright one bedroom apartment located just one block from the Cordoba Avenue and the Universidad de Palermo, in area with several restaurants and coffee-shops. 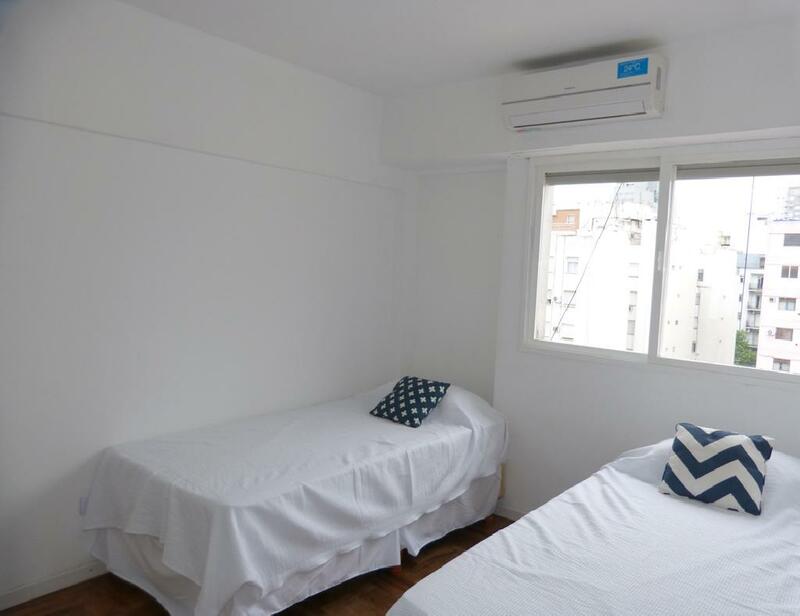 The apartment has a comfortable living-dining with a sofa-bed and a table for four people, a bedroom area with two twin beds and enclosed balcony facing the back yard. 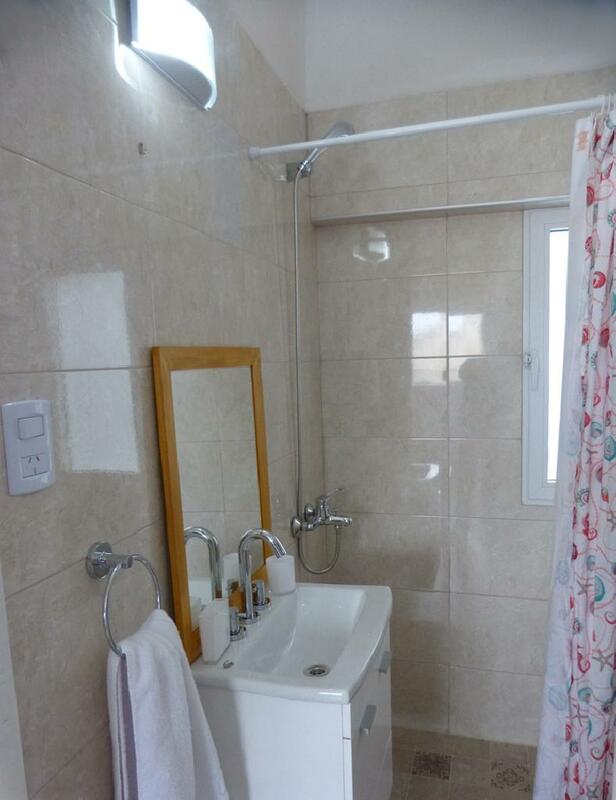 The apartment has an equipped kitchen and one bathroom with shower. 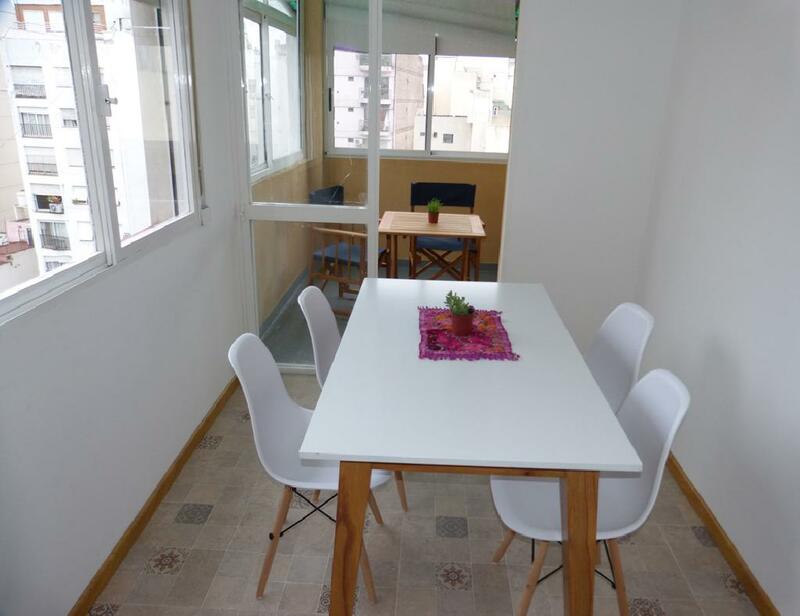 It is equipped with Internet WiFi, cable TV, air conditioning in both rooms, fridge with freezer, washing machine, dishes, kitchenware, linens and towels.